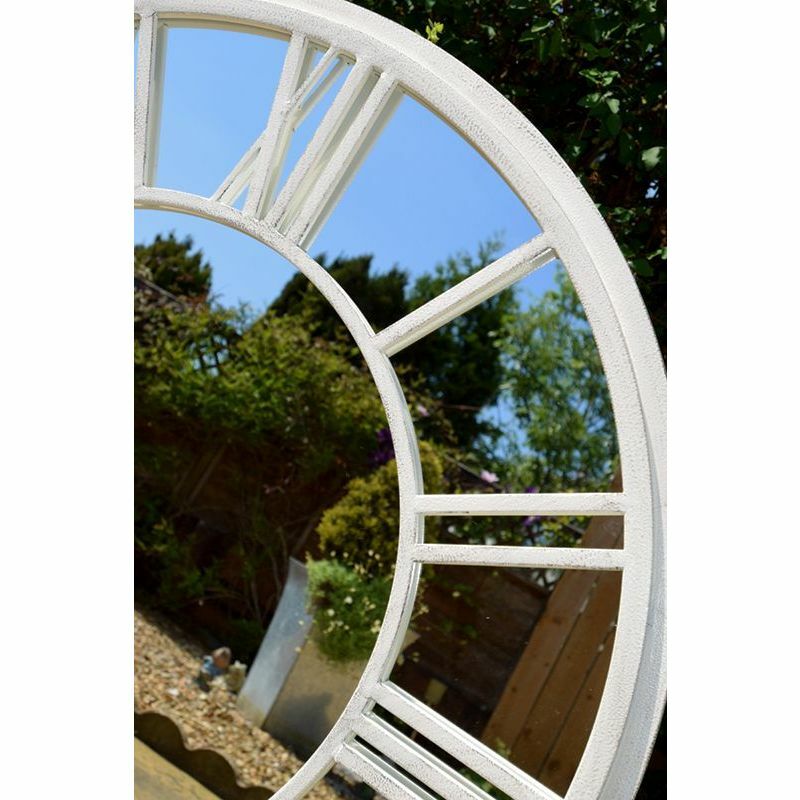 Decorate your outdoor space with this Ellister Roman Numeral Clock Garden Mirror. 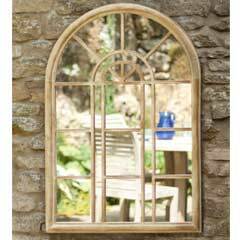 This excellently designed Garden Mirror is designed with Roman numerals round the sides to mimic a clock face. Iron frame with an antique paint effect. 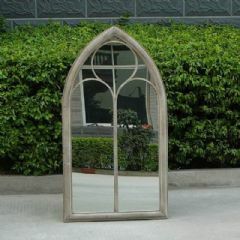 The mirror is made of glass with a mirror finish. Includes a hook on the back to hang from walls or fences. Note: Suitable for outdoor use. 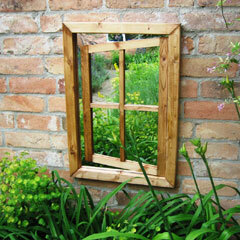 The mirror is perfect for our small courtyard garden. It was easy to hang and arrived well packaged and within the correct time frame. We are really pleased with it as it makes the garden appear bigger and lighter. 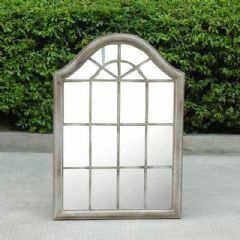 This is the 2nd mirror bought for the garden from Greenfingers. 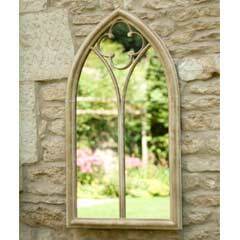 An excellent product, great value compared to any garden centre prices. I'd buy more ...but the garden isn't big enough..
Added a great centre feature to my little courtyard! I was looking for a flat wall feature for my small courtyard garden in Brixton to go above a bench. 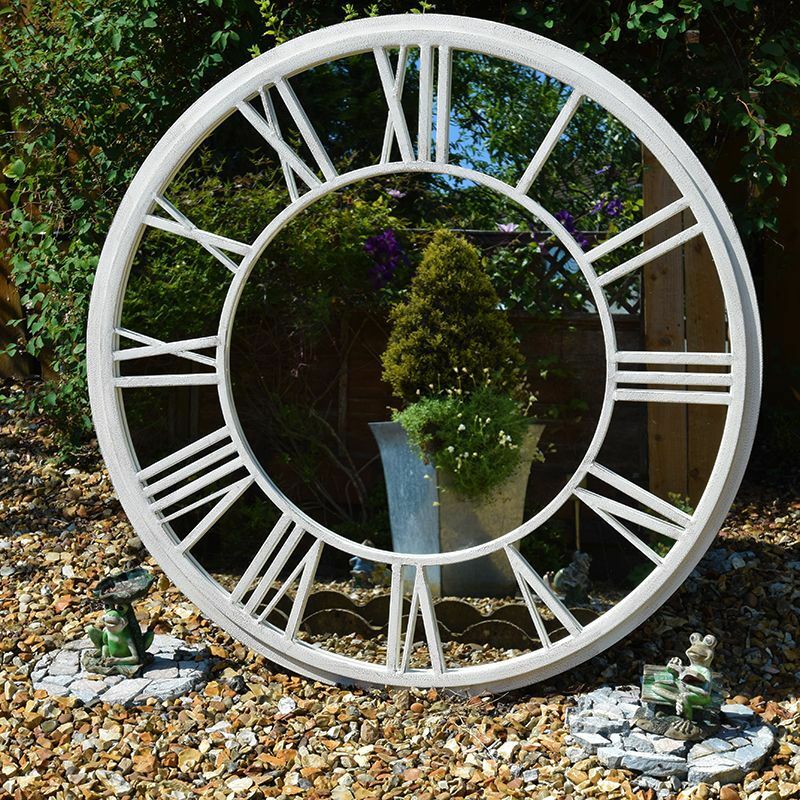 The mirror Roman numeral clock has added light, visual space and interest without sticking out. 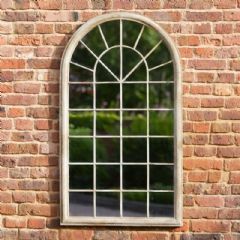 It is classic but also adds a modern touch. The quality is good - it is heavy to put up so suggest two people to do this. Am delighted. Fabulous value. Great product. would highly recommend. We love it great value for money. 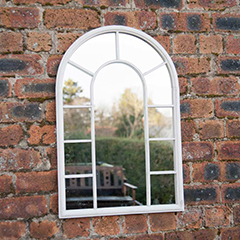 Unfortunately the mirror arrived with the mirror smashed but it was replaced very quickly and we are delighted with the no nonsense attitude. We would recommend the mirror to anyone. Excellent service and quality product. A very nice statement piece. Stunning piece, so nice my sister ordered one immediately she saw mine.Thank you. 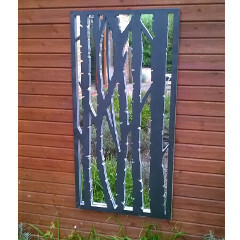 This mirror is a fantastic addition to my little garden and brings interest to an otherwise bare fence. The impact is so good I wish I could post a photograph. Just the job! Love my mirror. Even better than I thought. 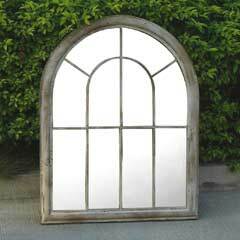 Great value for money.. Bought it for garden but would look great indoors too. Highly recommended.